Microsoft has released the Microsoft Messenger for Mac 8 platform. The latest Microsoft Messenger provides several new features and update. 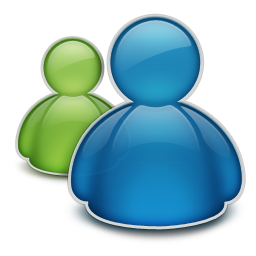 The latest Microsoft Messenger beta, Build 08.00.00.100305 for Mac 8 Beta offers a audio/video feature for Windows Live users. Mac users will be able to share webcam and audio conversations with each other and their Windows counterparts through latest Microsoft Messenger. The latest messenger software is still in beta process and has several known issues such as emoticons visibility, some video/audio calls do not work on certain configurations and display pictures do not display in the conversation window. Microsoft has not confirmed when a final version will be available. But you can try this latest version by your self to check more features and upgrade functions.